Integrated Business Group offers business solutions for all sizes of business and organization. For more information [email] or call us at 407-677-0370. Accountable Software offers products designed to improve functionality, enhance ease of use of Microsoft Great Plains and has grown to become one of the the leading Solution Developers in the Great Plains community. Altec helps you effectively manage and track your digital documents throughout the entire lifecycle of your day-to-day business processes. Doc-link Integrated Document Management helps capture, workflow, ouput & archive w/doc-link, Doc. Mgmt for GP. Avalara is the leading provider of cloud-based sales and use tax management systems, and provides the fastest, easiest, most accurate and affordable way for companies to address their statutory tax requirements. Avalara delivers cost-effective, state-of-the-art solutions, helping companies from every industry eliminate the complexity of tax management with accurate sales tax calculation, painless exemption certificate management, and effortless sales tax filing and remittance. Avalara is one of America’s fastest growing companies and makes sales tax less taxing! Find out more at www.avalara.com. BatchMaster Software Our process manufacturing applicationis embedded within MS Dynamics GP, offering industry specific R&D Lab, Formulation, Quality, Production, Compliance, Costing, Planning, Scheduling, and Warehousing functionality. Blue Moon helps you save time, save money and save on legal costs by using industry standard leasing forms, electronically enabled to make you more productive, integrate with your property management software, including e-signature functionality and built-in document storage. BusinessComputers Software is the developer of the Time Matrix Time Clock for Microsoft Dynamics GP. Time Matrix is a Windows based front end for GP Payroll, Human Resource, Project Accounting, Manufacturing and more. It accesses the data straight from the GP company database without having to do imports/exports. Click Dimensions is a Microsoft CRM Certified Solution providing email marketing, web intelligence, lead scoring, campaign automation, nurture marketing, social discovery, form capture, surveys and more, allowing organizations to discover who is interested in their products, quantify their level of interest and take appropriate action. Corporate Renaissance Group – Our broad knowledge base and in-depth business management experience has enabled us to evolve sophisticated, high-performance, stand-alone software solutions that easily and efficiently solve the array of activity-based costing/management (ABC/M) and performance measurement problems companies must overcome in order to thrive and achieve new levels of success. Decision Logic, a Microsoft Gold ISV Partner, provides web-based back office solutions for Multi-unit Restaurant Operators. 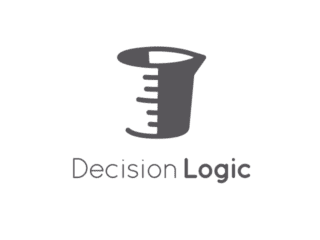 Decision Logic built the solution as a Software-as-a-Service (SaaS) offering. The main application and all data is hosted and managed by Decision Logic in a company run state-of-the-art data center. The company recently upgraded and re-architected their data center to a cloud-based approach, using Microsoft virtualization and cloud technologies, with Microsoft Windows Server® 2008 R2 Hyper-V and System Center Virtual Machine Manager as the foundation. The upgrade has allowed the company to move to 99.99% uptime, reduced hardware costs by 75%, and opened new revenue opportunities. DocSTAR is the premiere AP automation solution provider. SaaS or on-premises deployment options. Mobile access, Intelligent data capture, Advanced workflow, and Microsoft GP integration. Dynamic Budgets was developed to be a cost effective, budgeting solution which can be configured in hours. Replace Forecaster with an easier, more robust budgeting tool which is up and running in 2 hours! Give your staff real-time drill down reporting on transactions and eliminate Excel chaos. Dynavistics has transformed your “I wish I could” into “I know we can”. Our easy to use solutions enhance business processes, including collections management, delivery management, trade promotion accounting, and our trinity distribution solutions. Encore Business Solution offers a full range of innovative business solutions including Not-For-Profit and Cash Management. These companion products are designed specifically to add value and enhance the Microsoft Great Plains business management solutions to meet the business application software needs of businesses varying from small organizations to multinational corporations. EthoTech provides seamless integration, business process automation, and personalized care for customers in hundreds of industries. Calculate, pay and track all variable compensation, including Sales Commissions, Bonuses, Royalties, Rebates, and SPIFFS. Effortlessly create and modify commission plans, and then quickly distribute reports by email. EOne -Find out what Microsoft Business Solutions refer to as “…The revolutionary extension product eXtender…”. eOne’s award winning products are sold throughout the Microsoft Great Plains and exonet6 communities. Experlogix – is a Microsoft managed product configurator ISV dedicated to providing fully integrated quote and order automation solutions for Microsoft Dynamics CRM, NAV, GP and AX. Available via the web or offline, Experlogix Configurators deliver the scalability and flexibility needed to handle virtually any complex quote and order requirement at a low total cost of ownership. Fastpath is the leading security, audit, and compliance provider for Microsoft Dynamics. We are recognized as an Industry Leader by the Institute of Internal Auditors and as one of the top 100 Dynamics add-ons by Dynamics World. Full Circle Budgeting is an Excel add-in that processes budgets directly from Excel into Microsoft Dynamics. Gorilla Expense time & expense solution includes mobile apps, corp. credit card integration, project accounting, multi-currency, VAT/GST capture & integration with GP, NAV. Can be deployed as SaaS or On-Prem. Greenshades handles the headaches that come along with running payroll so our clients can focus on more important things. We have spent the last decade filing payroll taxes, providing employee self-service portals, and meeting many other needs. Most of our solutions work by integrating directly into the accounting systems that are already in place, such as the Microsoft Dynamics line, increasing the value of software you already own. HighJump is a global provider of software solutions specifically designed for the unique needs of logistics service providers and small and midsized businesses (SMB). HighJump provides solutions for warehouse management systems (WMS), third party logistics (3PL), fleet management, transportation management systems (TMS), trading partner integration (EDI), automated barcode data collection, parcel shipping, transportation optimization and supply chain business intelligence. Horizons International, Inc. works exclusively with Dynamics GP, developing many custom additions for GP character-based products using Magic PC, moving to Dexterity in 1993 to create applications that link seamlessly to Dynamics and eEnterprise. Integrity Data You want comprehensive solutions for Microsoft Dynamics® GP Payroll and Human Resources…and a purchase, implementation and support experience that is second to none. Rely on the innovation of Integrity Data to help you design and implement effective solutions tailored to your unique needs. Jet Reports, leader in reporting for the Dynamics community with over 55,000 users worldwide, provides a revolutionary self-service Business Intelligence solution for Microsoft Dynamics. Jet Enterprise is a complete Business Intelligence solution that provides answers to your mission critical questions inside an application you already know – Excel. Implements in hours! Key2Act is the former Wennsoft, a leading provider of construction and field service management software. They deliver innovative field service solutions that streamline operations from the sales to the field to accounting, arming customers with the insight they need to do their work more proactively, productively and profitably. Mekorma is the best-selling check printing and EFT security enhancement for Dynamics GP. Designed and built exclusively for Dynamics GP, Mekorma MICR targets specific shortcomings in the payment processing and corrects them. Because Mekorma becomes part of your GP system, it continually adapts to the system improvements and gets better with every update. Merit Solutions http://www.meritsolutions.com/ Merit Solutions is the leading provider of Food Safety and Quality Management and Compliance solutions for Microsoft Dynamics AX. Our industry specific solutions, MAXLife and MAXFood, along with our Cloud ERP offering MAXCloud, enable organizations to increase efficiency, reduce costs, and improve service – while maintaining profitable growth. Njevity is a Microsoft Certified Partner that offers integrated Cloud and On-Premise Dynamics GP, CRM and Acumatica. We provide applications for small to mid-size and enterprise customers integrating email, document management, ERP and CRM. Nodus Technologies, Inc. is a leading provider of electronic payment, e-commerce, and retail business process automation software. Nodus leverages Service Oriented Architecture and web services technologies to provide cost effective, comprehensive: e-commerce, electronic payments and retail management solutions for Microsoft Dynamics™ ERP. Nolan Computers is a software development house specializing in corporate and business solutions. We have played an integral part in thousands of installations of Microsoft Great Plains Business Solutions throughout the world. Nolan Computers’ customers come from a range of industries, including IT, financial and distribution. Olympic Systems is a full featured Project Accounting solution integrated to AP, AR, IV, PO, SoP, Payroll & G/L. Complete with options for Web & Mobile Time & Expense entry, Manager Approvals, Credit Card Expense Management. Panatrack specializes in systems for tracking inventory, assets, and activities. We create solutions to track the transactions that are critical to efficient business operations. PaperSave is a complete document management, electronic workflow and invoice automation solution, Certified for Dynamics GP & CRM. Paramount WorkPlace is an intuitive Web-based & Mobile Spend Management Solutions. Requisition & Procurement, and Expense solutions that are easy for employees, effective for management, powerful for accounting. Planet Together delivers the next generation of advanced planning and scheduling with Galaxy APS. Whether you have multiple plants all over the world or just one factory – PlanetTogether will help you move past mere cost controls and turn your shop floor into a profit center. Power Objects is a suite of CRM Add-Ons for Dynamics 365. These include tools for sales, marketing, productivity and more. We’ve also developed Power8CRM – a Dynamics 365 companion app for Windows tablets. Professional Advantage – Our approach to business is that of a partnership. Implementing a new solution for any business means a major investment and a long-term relationship with the provider. It is vital for you to get the high-level professional support and advice throughout the lifecycle of your system. Our role is to make sure you get the maximum return on investment, real improvements to your business with minimum commercial risk. ReQlogic is a browser-based employee productivity suite providing solutions for eProcurement, requisitions, AP Automation, time & expense, and advanced workflow. Rockton Software is a software developer that provides the most intuitive, helpful and user-friendly tools to enhance and extend your Microsoft Dynamics accounting software. Tools include, SmartFill, Auditor, Dynamics GP Toolbox, Omni Price, Dynamics Report Manager. SalesPad Solutions provides a complete portfolio of front-end sales order processing and customer service software to seamlessly interface with Microsoft Dynamics GP. In addition to the core product, SalesPad also offers SalesPad DataCollection and SalesPad ShipTo”. Sierra Workforce Solutions is a Dynamics ERP time & attendance solution optimizing productivity and data integration for payroll, job costing & HR. Advanced scheduling and ACA reporting options. Biometric badge, WEB, PC or mobile time clocks. Solver is a both Excel & Web-based Financial & Operational Reporting, Budgeting, Dashboards, & a pre-configured Data Warehouse w/direct integration to Microsoft Dynamics. ViewPost provides electronic invoice and payment services to businesses. It offers its services to create and send digital invoices, and receive and sync digital invoices from suppliers. The company’s services allow business clients to exchange electronic invoices and payments to other businesses. Wennsoft develops business solutions and Internet applications for the field service, construction/contractors and project-oriented industries. Service Management Series is a comprehensive dispatch, scheduling, invoicing, and maintenance contract program available for a traditional client/server architecture integrated with Microsoft Great Plains or as an Internet-based platform integrated with several ERP systems. WillowWare includes over 90 enhancements to GP, based upon customer requests. Enhances virtually every part of the GP system. Make GP more intuitive, easier to use.